Before the Trump campaign got involved with the political data firm Cambridge Analytica, Senator Ted Cruz was one of its biggest clients. At Mark Zuckerberg’s testimony on Capitol Hill on Tuesday, Cruz didn’t really want to talk about that. Instead, he wanted to talk about Palmer Luckey, the alt-right-loving former CEO of Oculus. It was clear that Cruz’s questions, which were entirely focused on perceived political bias at Facebook, took Zuckerberg by surprise. The 33-year-old executive has reportedly undergone professional coaching in the lead up to the hearing that’s focused on election meddling and privacy concerns. But he didn’t seem prepared for Cruz to just randomly change the subject. I’m sure you get where this is going. Despite having the White House, both houses of Congress, the top cable news channel, and a soon-to-be monopoly on local television, conservatives love to complain that they’re being marginalized and censored. Rather than discuss the $5.8 million Cruz’s campaign paid to a data firm that used the stolen Facebook information of 87 million (?) people, Cruz wanted to insinuate that Zuckerberg is waging some sort of war on Christmas. 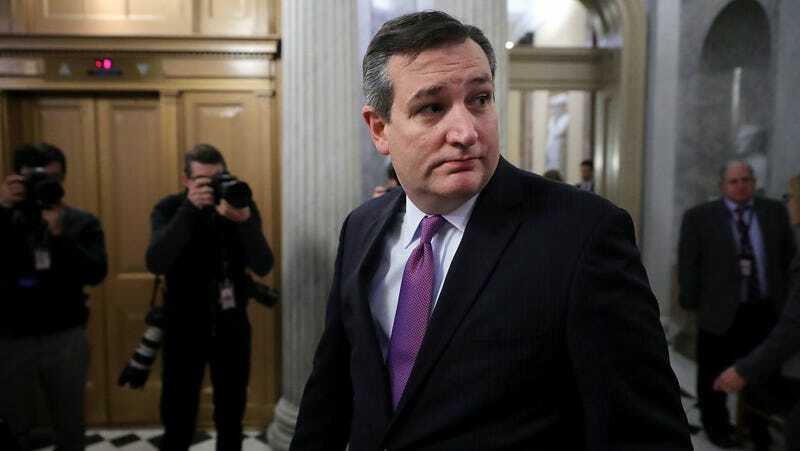 Getting to the point, Cruz bloviated, “I would say that there are a great many Americans who I think are deeply concerned that Facebook and other tech companies are engaged in a pervasive pattern of bias and political censorship.” First, he cited a Gizmodo investigation that exposed several former “news curators” who admitted that they regularly suppressed conservative news. Hearing Ted Cruz speak my employer’s name made me sicker than that time something white fell out of his mouth and he licked it. 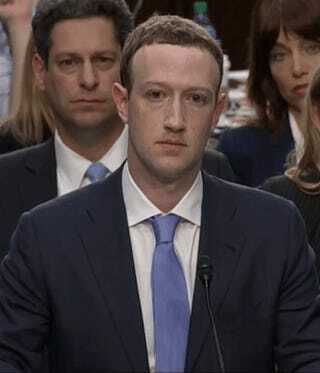 Then, Cruz brought out the big guns, asking, “As CEO have you ever made hiring or firing decisions based on political positions or what candidates they supported?” When Zuck responded in the negative, Cruz followed up with, “Why was Palmer Luckey fired?” Zuckerberg’s face changed, and you could almost hear him thinking, “Luckey, Luckey, that’s a name I haven’t heard in years.” Before leaving Oculus, Luckey became the subject of controversy after it was reported that he was a Gamergate-supporting troll who allegedly funded racist shitposters supporting now-President Donald Trump. “Why was Palmer Luckey fired?” Cruz asked. Zuckerberg said that it would be inappropriate to discuss it, but that he “can commit it was not because of a political view.” The fact is, no one knows for sure why Luckey left Oculus, which Facebook now owns. It’s not even clear if he was fired. Of course, Cruz might know. Palmer Luckey is a personal donor to the Texas senator’s campaign and held a fundraiser on his behalf last April. Did we mention that Cruz’s campaign paid Cambridge Analytica $5.8 million? The same Cambridge Analytica that loves illicit data and brags to clients about bribery and blackmail? Yeah, Cruz didn’t mention it.